River City Art Association member David Gill of Clay City attended the recent opening of the [untitled] exhibition in Athens Arts Gallery at Crawfordsville, Indiana. 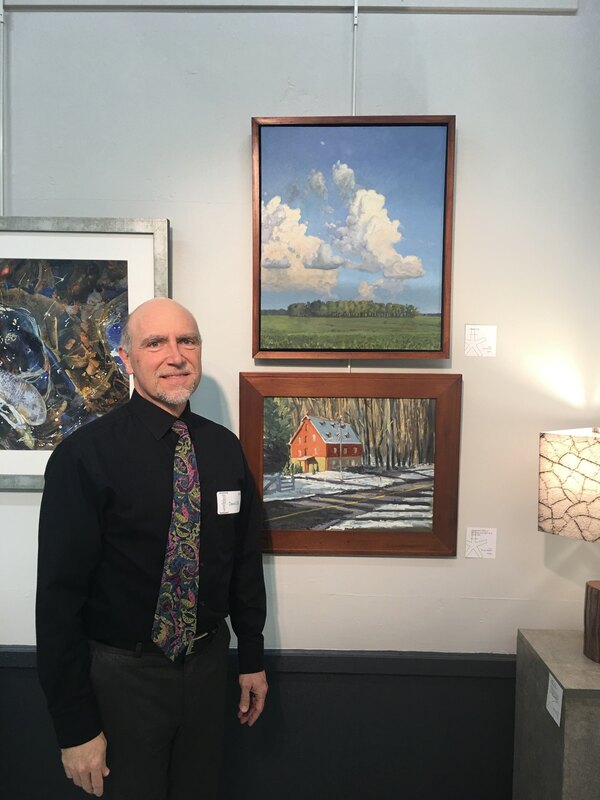 David’s oil painting, “Reaching,” (top artwork) is in the juried exhibition of less than 100 works selected from 400 entries. [untitled] is on display through May 4. This entry was posted in Member News and tagged "Indiana, Athens Arts Gallery, Crawfordsville, David Gill, oil, painting, River City Art Association, untitled exhibition. Bookmark the permalink.